A bad credit card doesn’t sound like something particularly attractive, does it? In fact, stick the adjective ‘bad’ in front of anything and It’s unlikely to be at the top of your shopping list – who wants to drink a glass of bad wine or a bad pint of beer? However, a bad credit card could be just what you need. 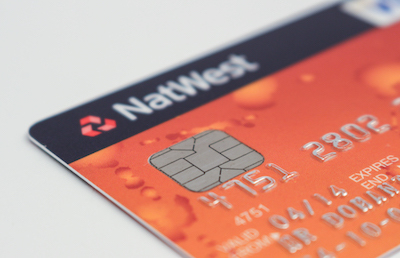 In today’s post we’re looking at the best credit cards for people with bad credit, often known as ‘bad credit’ cards they’re unlikely to have alluring interest rates or large limits but they could be just what you’re after. Here’s how they work. Eligibility – could you qualify for a bad credit card? If you’ve handled credit poorly in the past it can be difficult to get the chance to prove you’ve changed your ways. If you have had problems in the past it is possible that you may still be able to get a credit, albeit one with a higher interest rate and lower credit limit. So-called bad credit cards are an option for individuals that lenders see as a higher risk, which means if you can secure one you’ll probably be lent less and charged more for it. When you apply for these cards it’s not simply about what you earn as credit card providers will look at your credit score and past financial behaviour to decide if you are suitable to lend to. Some lenders will stipulate that you should not have had a CCJ against you within a certain amount of time or that you should never have had more than one CCJ to apply for particular products, conditions do vary so make sure you read them carefully and are sure you fulfil criteria before applying. If you’d ideally like a larger limit and are confident you are now able to manage credit better, you may be able to apply for a card where your limit is reassessed after a set period based on your activity. Sensible handling of a credit card could help you to rebuild your credit score too. If you’ve had knock backs in the past or are aware your finances aren’t as orderly as they could be you don’t want to risk applying for cards left, right and centre. Doing so is likely to harm your credit score as you may be seen as desperate to extend your credit. With this in mind, it’s always best to have a good idea of whether you may be accepted before you apply. Carefully read eligibility criteria and use a soft search to check the probability of acceptance. A soft search can be seen by you if you access your credit file but it does not leave a mark on your credit score for lenders in the same way an application would. Such searches can sometimes be called pre-qualification eligibility calculators and these guide you through key questions to give an indication of whether you might be accepted for a product, though they don’t guarantee that you will be. A Pre-qualification calculator or search is very different to the pre-approval letters you may receive through the post, which amount to speculative marketing from lenders. Although these letters often use terminology to suggest that you’ve been specially selected to open a card there is no guarantee you will be accepted for the outlined offer and applying direct without carrying out a soft search could hurt your chances of securing a credit card and other credit. If you do secure a credit card for those with bad credit, the APR is likely to be significantly higher than those on standard credit cards. And if you read our recent post, 'what is APR' - you will know this means any debt on the card is likely to mount up quickly. You should therefore only apply for a card if you’re confident that you will be able to use it to improve your credit; if you’re not able to pay off most or all of your balance each month the debt could soon become unmanageable. If you plan to spend on the card and clear it each month in order to improve your credit rating, the high APR will not make an impact but if you’re unable to do so you need to consider how much interest will accumulate. Read about some experiences with high APR leading to complaints with companies such as MBNA. You should only borrow what you can afford to repay, so if you’re considering swapping other debts onto a bad credit card it may not be the best option. It is possible to sometimes find cards with a lower fixed term interest period followed by a higher APR, which may work out a little better. However, you should always be cautious and carry out a soft search when applying and if accepted, commit to using that lower interest period to pay down the debt. If you’ve ever left your debit card at home and used your credit card to take out money for a night out on the town or a bit of shopping chances are you will have regretted it as an expensive mistake. Lenders tend to charge handsomely for the ability to draw cash out on credit cards and in some cases interest can start mounting as soon as the money leaves the hole in the wall. This makes it an expensive line of credit even on standard credit cards but add in the high APR of a bad credit card, which is likely to charge an even higher rate for withdrawals, and what you have is an extremely high cost for the convenience. Taking money out on your credit card tends to suggest to lenders that you a poor ability to budget, so the best course of action is to avoid it. If you’ve learnt lessons from mistakes of the past and want to rebuild your credit score then taking out a bad credit card could be a good idea, if you can commit to paying in full each month. Those people with no credit rating who are finding it hard to get a credit card may instead want to search for credit builder cards aimed directly at those who may not have much on their credit profile. It’s important you’re honest in your application and honest with yourself when applying for these sorts of card – can you afford to pay your balance in full each month? Once you’ve proven yourself you may find new avenues of credit are open to you and you might be able to upgrade your card to enjoy a better APR and higher limit. 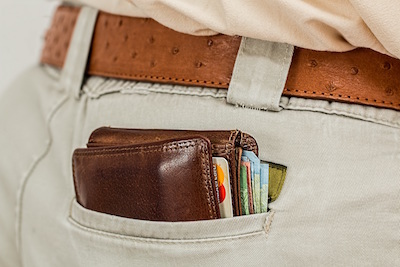 Take a look at credit rebuilding cards from Vanquis, Ocean Finance, and NewDay for starters. If you’re rejected for any credit card it’s advisable to make efforts to understand why and take positive action to rectify any problems with your credit score rather than jumping straight on to the next application. Always take the time to ensure you meet eligibility and use soft searches to check if you qualify for a preferred card. It may be that you are not accepted for a credit card and at this point you will need to consider what your options are rather than firing out more applications. If you are hoping to rebuild your credit you may need to take smaller steps and return to credit cards in the future. For individuals who want a credit card for use online or to use abroad for things like car hire deposits it may be possible to use a pre-paid card instead. There can be benefits to having a credit card in the form of cashback, reward points or simply convenience but there are also downsides, so it’s fundamental you are clear about how charges on your card operate. For instance, are there high charges for using the card abroad? What are the consequences of late payment and how will you ensure you never pay late? If you’re looking for a credit card you can compare credit cards and reviews for those with a bad credit rating here to find one that’s a good fit for you and your circumstances.